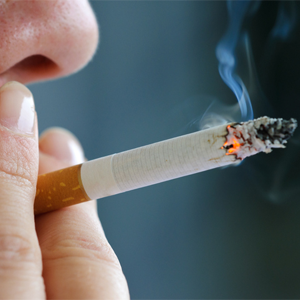 Cape Town – The legal tobacco industry will be gone in two years unless the South African Revenue Service (SARS) fulfills its mandate to clamp down on illicit financial flows, said an industry body. The Standing Committee on Finance on Wednesday was briefed by several bodies on illicit financial flows in the tobacco industry. Scof chairperson Yunus Carrim said that Parliament’s main concern is the revenue lost that should go to SARS and wanted to know what steps were being taken to curb illicit trade. Among the bodies which made presentations was the Tobacco Institute of South Africa, represented by chairperson Francois van der Merwe. Van der Merwe highlighted the economic contribution of the legal industry to the South African economy. The industry stimulated economy-wide production amounting to more than R54.3bn in 2014, and supported more than 108 000 jobs in South Africa. This contributed a combined R22.4bn in government tax revenue and R23bn to GDP. The industry has a market value of R28.8bn and supports 8 000 to 10 000 jobs in the agricultural sector and more than 179 000 wholesalers and retailers. But all these jobs and potential government revenue is at risk if illicit trade continues, Van der Merwe highlighted. The illicit economy is growing, and this is compromising government’s health agenda as more people are smoking because illicit products are cheaper, Van der Merwe explained. TISA has been working with SARS to combat illicit trade and the parties formed a partnership as far back as 2005. Subsequently a project, Honey Badger was launched by SARS to tackle illicit trade, which was welcomed by TISA. But in 2014, the allegations of the so-called rogue unit started. As a result the Honey Badger project stopped, Van der Merwe explained. He referred to Johan van Loggerenberg’s book ‘Rogue: The Inside Story of SARS's Elite Crime-busting Unit’ which documented state capture. “It is no wonder why all investigations into illicit tobacco trade stopped right there." Van der Merwe said that since last year TISA has been working to rebuild its relationship with SARS to crack down on illicit trade. He also referred to Jacques Pauw’s book ‘The President’s Keepers’ which he said “explicitly explains” the role of tobacco companies in state capture. During his presentation, Van der Merwe highlighted billions of government lost as a result of illicit financial trade. Van der Merwe pointed out that SARS should collect R17.85 tax, (R15.52 in excise duties and R2.33 in VAT) per packet of cigarettes for the 2018/19 year, based on the national budget. This means, a pack of cigarettes selling for less should sound alarm bells. The industry has shrunk by 20% over five years (between 2012 and 2017). This however does not mean that people have reduced consumption, they may be consuming illegal cigarettes. The loss to the fiscus according to TISA between 2010 and 2016 was over R27bn. This is at least R5bn per year, or 10% required to plug government’s revenue shortfall of R50bn. Van der Merwe also highlighted that this was having a negative impact on jobs, with 8 000 to 10 000 jobs of farm workers and their 30 000 to 35 000 dependents. “Interpol has found that the illicit cigarette trade funds criminal networks to human trafficking, weapons and drug smuggling or terrorist activities,” he said. Van der Merwe said it was SARS’ mandate and other law enforcement agencies such as the National Prosecuting Authority and Hawks that need to come down hard on illicit trade. TISA said that although SARS was forming long-term solutions, a short-term solution would be to place custom officials in all factories in the country. “We need something now, otherwise two years from now my industry will be gone. The whole market will be supplied by illicit products,” said Van der Merwe. He stressed that there must be political will from government to establish the fight against illicit trade as a national government priority. In its presentation National Treasury’s Chris Axelson, director of personal income taxes and saving said that there must be an increase in capacity granted to SARS and other enforcement agencies to tackle issues. There should also be better cooperation between SARS, the South African Police Service and the National Prosecuting Authority. “The big thing is we need to get to the bottom of these allegations. The inquiry into SARS needs to look into this and find out what actually happened. What can be done to strengthen that? A lot of these things have arisen from industry involvement,” said Axelson. Axelson added Treasury is happy to set legislative framework in place but in terms of enforcement other institutions must be relied on. SARS customs investigations executive Patrick Moeng, in turn defended the tax authority. “It is not as if we are awaking from a slumber. We have always put our finger on illicit trade,” he said. SARS said that tobacco and cigarettes are on the top of the agenda when it comes to compliance programmes the tax authority is running. He said SARS is still tackling illicit tobacco, and project Honey Badger has not been abandoned, the programme to stop illicit trade continues just under a different name.